Did You Know You Can Control Spring Weeds with Proper Mowing? How can proper mowing reduce weeds in the landscae? Tips at our blog! We feel your frustration when it comes to weed control in your lawn! In spring, when the temperatures cool and rain persists, an explosion of weeds can seem to come out of nowhere. Whether you are on an organic maintenance plan or are using chemicals, weeds are a fact of life here in Texas. Did you know we can even tell what's going on in your soil by the types of weeds growing in your lawn! Why are some weeds inevitable? A total monoculture (one turf grass, no weeds) isn’t a natural condition and one should expect some weeds in a healthy organic lawn. A healthy, vigorous lawn will better out-compete weeds over time. Proper feeding and watering year-round, plus mowing your lawn the right way, can help keep weeds pressure down naturally. Where Do Spring Weeds Come From? The weeds you see in your spring lawn and landscape are actually cool-season weeds that germinated the previous fall and have grown slowly through the winter months. As soon as temperatures start to warm up in late-winter and early spring, and rainfall starts, cool-season weeds explode! Once weeds have flowered and gone to seed, more weeds will spread across your lawn and garden. The more they bloom, the bigger the problem gets. Mowing is one great way to control weeds in your lawn, whether you are organic or use chemicals. When it comes to mowing, timing is everything! Mowing on schedule is key to cutting down on weed spread in your lawn. Don't delay your spring mowing! Once weeds start to flower, they'll begin to spread more seeds. Once you see weeds begin to actively grow in your lawn, it’s time to start mowing them so they can’t bloom. When did you start mowing your spring lawn? If you said “early to mid-March” you'd be on time! Starting your mowing a bit early in the season so you can mow down the first flush of lawn weeds is a good rule of thumb. Starting to mow a bit early can also help more sunlight reach the soil, which warms it sooner. This can help your warm season lawns begin to actively grow a bit earlier. The golden rule of mowing is to never remove more than 1/3 of the existing grass blade in a single mowing. Cutting your grass too short reduces water retention, meaning you’ll have to water more. Plus, when mowing early for weed control, remember that you only need to mow such that you’re removing the tops of weeds, which include the flower heads. 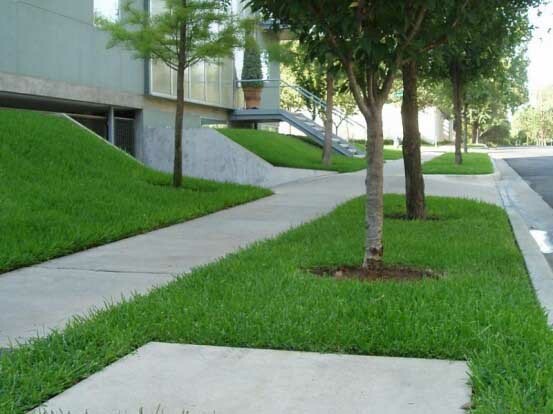 Knowing which type of turf grass you have and how to mow it properly is important. Are Grass Clippings Bad for Your Lawn? Not at all! As long as large clumps are not left on the lawn and the lawn is dry, now mowing after a rain, then the clippings should naturally disperse into the lawn. They will decompose quickly when consumed by beneficial bacteria, which turn the clippings into food for the lawn. Plus, you’ll be keeping that valuable carbon matter out of the landfill. Note: Lawn clippings don’t cause thatch (unless you’re over-fertilizing, over-watering and over-mowing). Proper mowing is part of an organic maintenance plan that includes organic fertilization for your plants and your soil. There is no quick fix for an organic, sustainable, beautiful lawn and garden! A long-term organic maintenance plan that feeds the soil, not just your plants, will keep grass roots thriving so that over time, they will naturally suppress weeds.